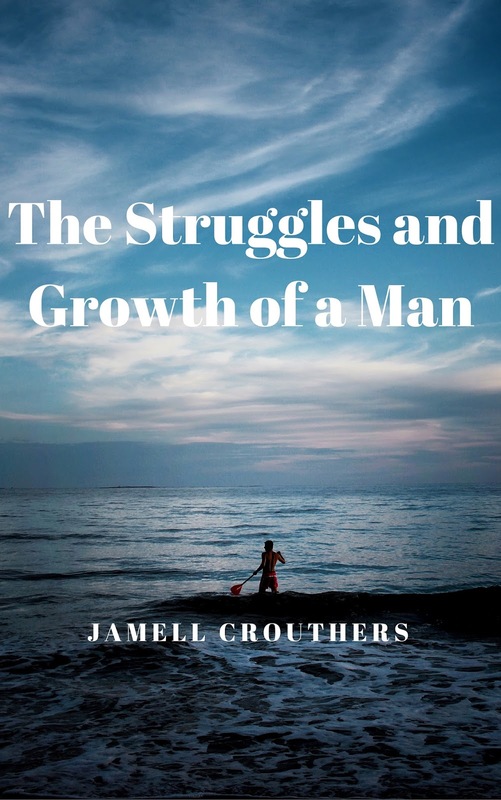 The Struggles and Growth of a Man was my first book, I started the process of writing this book over a year ago. I knew that I wanted to write a story about a man and his daily struggles. It took a little while to think over the chapters (which is how I start the process) and once I figured that out, I started writing. I also wanted to name the character a common name so race doesn't play a factor into the book. People like to say certain names are common amongst races and I didn't want that to be the process of writing this book and for the readers. After naming the characters for this book, I knew that writing the book in a traditional format wouldn't work for me (I've tried writing books that way and it never worked for me). So I decided to write a book in poetry format and make it a story of the character Robert chronicling his life and the struggles he's going through. People forget that men do struggle in life and that society teaches us to hold things in and to be strong. Sometimes we can't always be strong and we do need to emote and feel things. This book was fun to write and I felt no pressure writing it because I knew that I was writing in my favorite format which is poetry. The main character Robert was going to be my focus throughout the whole book but then I incorporated another character, his brother Michael. Being able to put in another character that has an impact on the main character's life was important to me. Having some chapters with Michael writing to Robert, allowed me to write different emotions and feelings and also gave me a chance to have Robert show more compassion and not feel like he had to be so manly with his thoughts. While Robert's mother, father and his mentor Mr. Marble are in the book too, they weren't character's that were writing their thoughts and feelings. I didn't want to take away from the focus of Robert and make the book about anyone else. 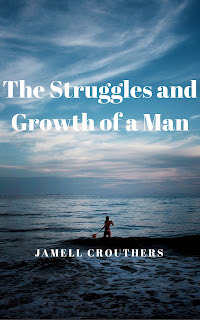 I wanted the book to be mainly focused on a man struggling with life, situations and experiences and how he's developing his mind and soul to be a better man, human being and person. It took me a few weeks to write the book and another week or so to edit it (granted nothing comes out perfect) and I changed the book cover 3 times. That was a learning experience for me with doing book covers and now I know I have to be more diligent with what my book covers will be going forward. For my first book, there were successes and failures and I learned from them. My book cover was one thing I learned and I applied a lot of other mistakes I made and made sure I didn't repeat them again with my next 2 books I published last year. A lot of my mistakes was promoting my book way too much on social media (which you don't need to do as much) and I had a hard time trying to find different ways to promote my book and my brand. I didn't have a readership of my poetry before I published my book. There are excerpts from my book on my author profile page so please take the time to read that on my Bublish page. Be good and follow your dreams.